Formatting should be invisible in a book – the hidden scaffolding that allows the reader to smoothly step into the narrative and become immersed in the writing. It’s often the small things that pull readers out of a story and sloppy, inconsistent formatting can really distract from the reading experience. The type of book you are publishing affects the level of formatting and internal design of the book. Books that contain no illustrations, tables, sidebars, fancy fonts or other design variations are far easier to layout than those that do. It is possible to format simple, text dominant books such as novels using MS Word. However, you will achieve far better results (and far less frustration) using specialised publishing programmes such as Adobe InDesign or QuarkXpress, even for basic novels. If you intend to create a more highly designed book then you should definitely use the more sophisticated software or outsource this to professional editors and typesetters. If you decide that outsourcing is the best option for you then be aware that the first thing and editor or typesetter will do to your manuscript is remove unwanted formatting. This includes common formatting errors such as double spaces after a full stop, double carriage returns between paragraphs and uneven indents. Save yourself time and make it easier (and ultimately cheaper) for the editor to format your work by keeping your manuscript as plain as possible, with consistent font and font size for the headers as well as the body. The only special formatting should be italics. Barbara Brabec has a very succinct guide on how to submit your manuscript to an editor that will save you and your editor a lot of time. 2: Format your eBooks and Print books separately Print books and eBooks are read in completely different ways on completely different mediums and therefore need to be formatted differently to optimise the reading experience. The page scaling and page flow features of modern eReaders can play havoc with print-formatted files. Many of the established publishing houses made this mistake when they first began converting their printed books into eBook formats. 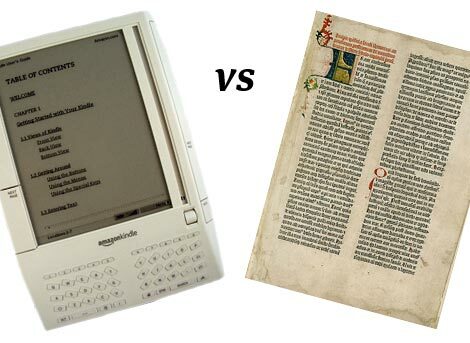 Reading text in a printed book is also quite different to reading it off a PC or mobile phone. For example, Serif Fonts such as Garamond are known to be easier to read on printed paper as the flourishes (or feet) help group the letters in words together, while San Serif Fonts such as Arial are cleaner to read off a screen, which has lower resolution than ink on a page. Most digital self publishing sites will have style guides to help layout and format your eBooks. Two of the best are CreateSpace, which has a great discussion forum and a number of useful articles by design experts, and Smashwords, which has a free guide that not only sets out their own house style requirements, but also provides an excellent background for general book formatting. Physical books can come in many shapes and sizes, although there are some standard formats that you should try to stick to, if only to make the printing process easier and cheaper. The size of the final book will have an impact on the Font Size, for example, with larger format books having larger font than smaller books. Before you start any internal formatting, make sure that you confirm the final dimensions, or Trim Size, of the book with the printer. Then set the page size in your document’s page layout to match the trim size. The measurements given above are simply average sizes and most printers will have a range of options. For example, here are the Trim Sizes offered by Lightning Source, probably the largest POD printer in the world. 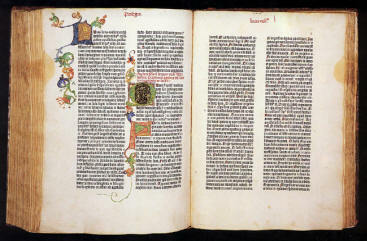 Margin refers to the space around the text and the top, bottom and outside edge of the page (away from the binding). Gutter is the interior margin on the inside edge of the page that will be part of the binding. Bleed relates to images that will be placed right up against the outside edge of the page, requiring them to extend outside the printed page by a small amount so that they can be cropped cleanly. It’s always best to check these specs with the printer before you do this as they will give you their preferred settings but in general you should always have a margin of between 18mm (3/4”) and 25mm (1”). The gutter will depend on the page count but will normally be an extra 6mm (1/4”) to 12mm (1/2”) on top of the margin. The bleed will normally be about 5mm. Page 1: This is always the right hand page that comes straight after the cover (or the end papers of a hardcover book). Traditionally this page simply has the title of the book in case the cover is lost. Title Page: This crucial right hand page must include Title, Author and Publisher. This is followed by a Reservation of Rights statement, identifying which Copyright rights you reserve and which you allow. For example you may simply say “All rights reserved” or you can go further and explicitly restrict the reproduction of the text in any format without permission by you, the author. Have a look at some other books for examples of this paragraph or even consider getting some legal advice about the best phrasing to use – but if in doubt, simply stating “All rights reserved” will generally cover you. Credit to contributors to the book such as the cover designer, editor, typesetter, indexer, etc. Running Heads are the headers that appear at the top of the page and, like page numbers, you can be fairly flexible about how you use them, as long as they are consistent. Running heads typically contain either the title of the current chapter, the title of the book or the author’s name. 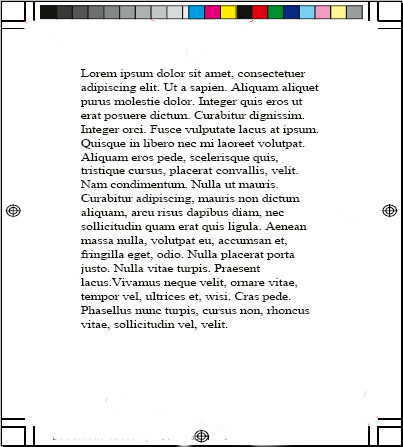 These are located at the top of the page and either centred or aligned to the exterior margin. As these are a navigation aid, you should prioritise the most specific information in your running heads. So, if your book contains Chapter Titles (as opposed to simply numbered chapters) then it is a good idea to use this as the primary runner and place it on the right hand pages, with perhaps the book title on the left hand page. If however, the book is a collection of stories by different authors, you may wish to place the current author’s name on the left hand page instead of the book title. Indexes are extremely useful in non-fiction but can be devilishly tricky and tedious to set up accurately. One of the most frustrating problems is tracking any changes to the page numbering after the index has been created but most software packages including MS Word, InDesign and Quark, contain an Indexing Function that will handle this. MS Words Index function is very basic however, and if you are planning a detailed index then you should definitely consider doing it in inDesign, Quark or a specialised Indexing programme. Creating a useful index requires more than simply choosing a bunch of key words and pointing towards the page numbers they appear on. The selection of the terms used in an index needs to carefully consider the words and phrases a reader is most likely to look for in their search. An Index may also be broken into Categories to help readers find terms more easily. For example, the Category Cats may include Lion, Tiger, Cheetah and Jaguar. The Adobe InDesign Tutorial for Indexing has a great breakdown of some of the key things to look out for when creating an Index. You can also outsource this to qualified Indexers (typically freelance editors) without too much expense. They will not only make sure your index is accurate and well formatted, but that the search terms are well considered, consistently applied and that word variants such as pluralisations are taken into account. Check out the Australia and New Zealand Society of Indexers for more information (there are similar societies in other countries). like to send you an e-mail. I’ve got some creative ideas for your blog you might be interested in hearing. Either way, great website and I look forward to seeing it grow over time.